Above: The Palacio da Bolsa (also known as the Stock Exchange). Below: Near the Stock Exchange is the birthplace of Prince Henry the Navigator. Below left: The elaborate silver alter is in sharp contrast to the rest of the Cathedral's austere interior. 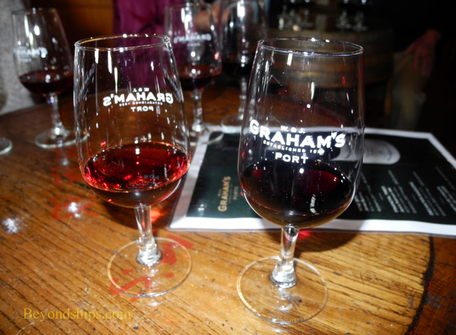 Below: Port wine aging in Graham's Port Lodge. Since Oporto has traditionally been a commercial center rather than a center of government, it is not a city of great governmental buildings and palaces. Indeed, the city’s most ornate palace is the 19th Century neo-classical Palacio da Bolsa, the former stock exchange. It was originally built as the headquarters of an association of the city’s wealthy merchants. Designed to impress, it has a great granite staircase with statuary and two giant bronze chandeliers. One of the upstairs rooms was decorated in gilt and was patterned after the Alhambra palace in Spain. Other rooms have Roman and classical touches. It is quite lavish. Another commercial landmark is Oporto’s railroad station, Estacao Sao Bento. Dedicated in 1916, the station is well-known for the works of artist Jorge Calaco that cover its interior walls. These depict the history of transportation and Portugal and are made up of some 20,000 tiles. Be aware that this is a working train station and viewing the tiles must be done from amidst the scurrying commuters. 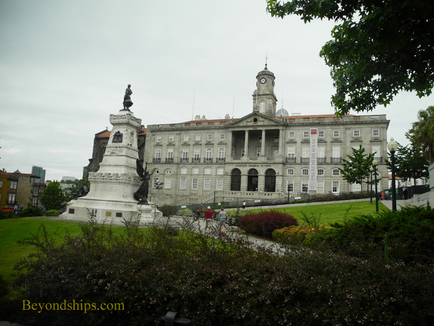 One building that does have royal connections is the Casa do Infante (also known as the Royal Customs House). Built in 1325, it is the traditional birthplace of Prince Henry the Navigator, who sponsored and inspired Portugal’s great period of exploration. Today, it is a museum. As mentioned earlier, Prince Henry’s parents, King John I and Phillippa of Lancaster were married in Oporto’s cathedral. This austere building is distinctly medieval with little ornate decoration except for the alter, which is made entirely of silver, and the neighboring chapels. 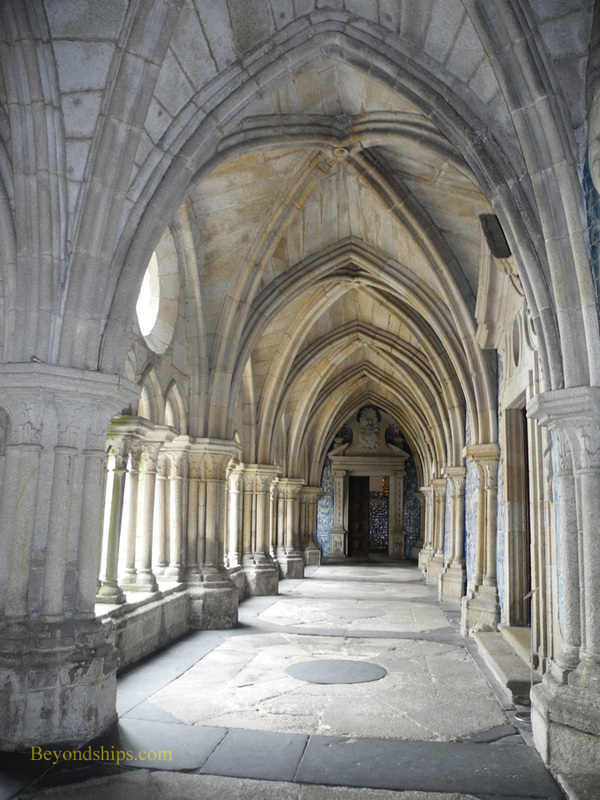 The Gothic cloisters adjoining the cathedral itself are worth a view. 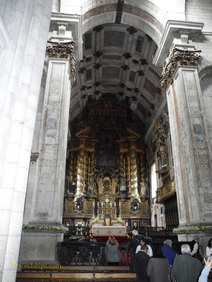 Oporto has a number of interesting smaller churches as well. 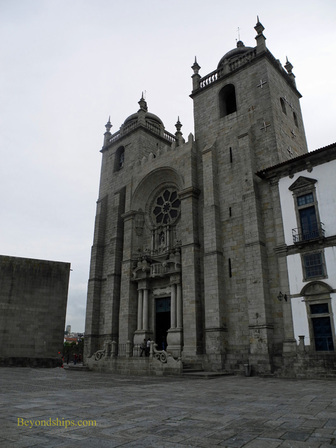 The Clérigos church is known for its tower, which was once the tallest in Portugal. At the top of its 274 steps is a panoramic view of the city. Begun around 1245, the now deconsecrated Igreja de Sao Francisco has an elaborate interior with extensive use of gold leaf - - some 300 kilos by some estimates. Other small churches have elaborately decorated exteriors Igreja Santo Ildefonso has tiles by Colcao depicting scenes from the saint’s life. 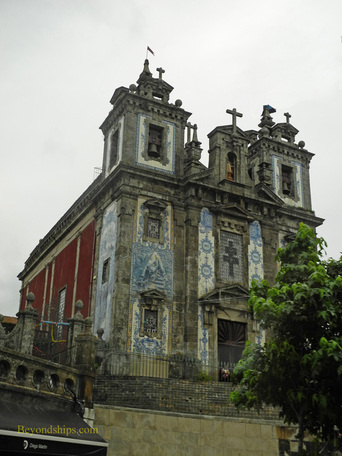 Igreja de Santo Nicholas has patterned tiles covering its façade. One of the more charming areas of the historic city is the Cais da Ribeira district. This is the old waterfront area along the banks of the Douro. It has narrow medieval streets and alleyways. Cafes, fashionable restaurants and bars are seemingly everywhere. Spanning the chasm through which the Douro runs are several bridges. The most important of these is the Ponte de Dom Luis I. Designed by Téophile Seyrig, an associate of Gustave Eiffel, this wrought iron arch bridge opened in 1896. At the time, its 580 foot span was the longest arch in the world and it remains the longest iron arch. Today, the upper of its two levels is for trams and pedestrians while the lower is open to auto traffic. On the other side of the bridge is Cais de Gaia. From here, not only are there excellent views of the Oporto skyline but there are cafes and restaurants along the river. Traditional wine boats add a layer of atmosphere. The wine boats were used to transport the port wine down the river from the wineries to the “caves” located in this district. Actually, the caves were wine cellars where the port wine was aged before being exported to Britain and elsewhere. Today, most if not all the major name port houses maintain “port lodges” here where you can learn about how port is made and sample some of the product. As befits a major city, Oporto has museums and other cultural landmarks. There is also shopping (Rua de Saotarina is the city’s main shopping street) as well as numerous restaurants, cafes and coffee houses. In addition, there are beaches along the area’s Atlantic coast. 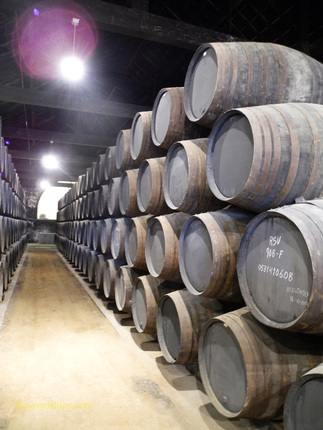 Of course, you can also take an excursion up the Douro valley to see the wineries where the port is made.